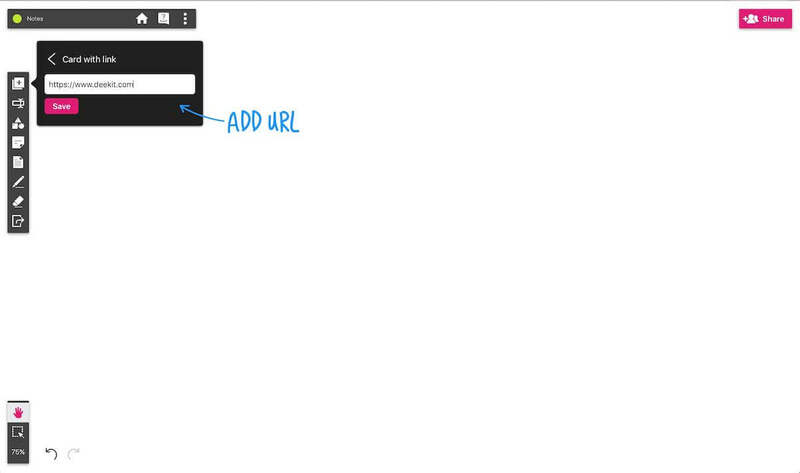 You can upload anything to whiteboard from the web. Videos, Google Docs and Spreadsheets, Web pages and much more. Videos can be played directly in the app and other items uploaded behave as links. 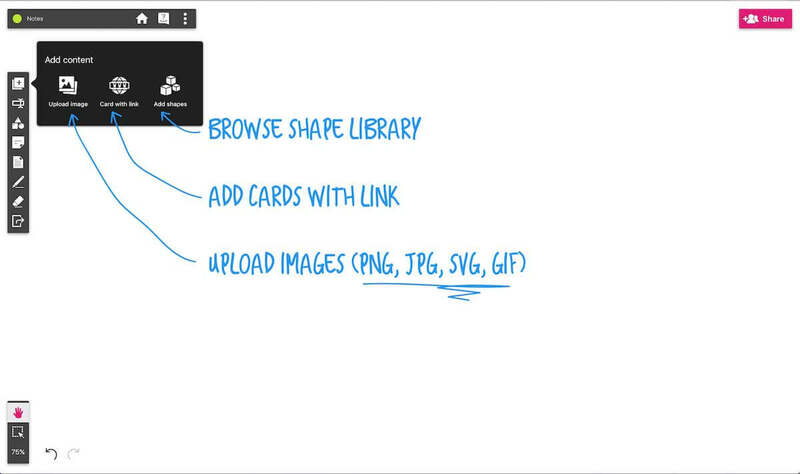 Each item you add from the web will create a special card on your whiteboards that can be edited. You can also edit the card look by choosing what type of card you want to add, edit card title and description. 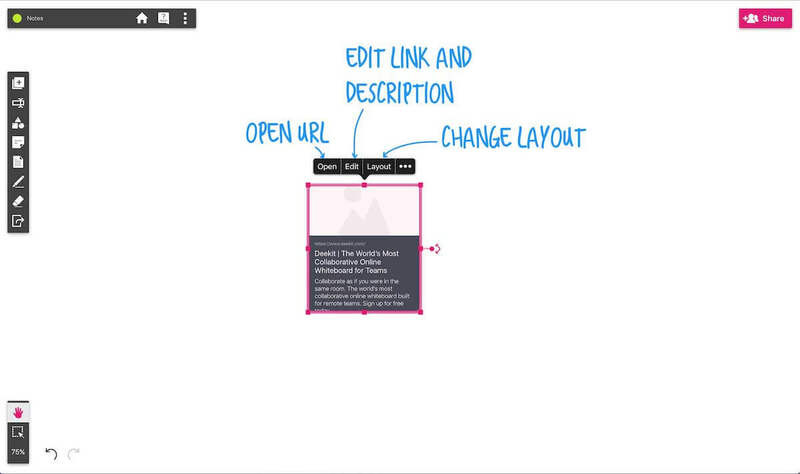 Embeds create clickable preview cards on the canvas. You can choose if the preview should be image only, text only or image with text. There are few things you can do with the preview cards on your whiteboards such as move, rotate or resize them. Embedded cards via link is available to premium users only.